Social Mention is a free Web site that monitors and organizes social media chatter on Twitter, blogs, discussion forums, and elsewhere. 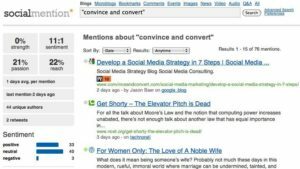 Social Mention is not nearly as powerful or customizable as paid social media monitoring software like Radian6, Scoutlabs, or Spiral16, but it’s free and easy to use. 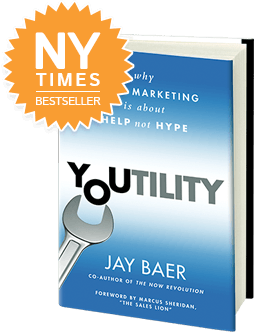 Online, are people talking more about your company, or your competitors? Let’s find out. Go to www.socialmention.com. Click “all” on the row of tabs. Then, enter your organization’s name in quotes (“organization name”) and click search. The quotes will ensure that results include only exact, relevant matches. It may take a few seconds for Social Mention to produce results, as it has to scan a lot of data. On the results page, you’ll see at the top the number of total mentions of your organization in social media over the past 30 days. (You can change the date range with the pull-down that says “anytime”. The default is 30 days, and Social Mention only stores 30 days worth of data). Look through the search results to find areas where your organization is being mentioned, by whom, and in what context. It may be easier to scan results by sorting them by Source. Use the “Sort by” pull-down to make that change. Go back to Social Mention. 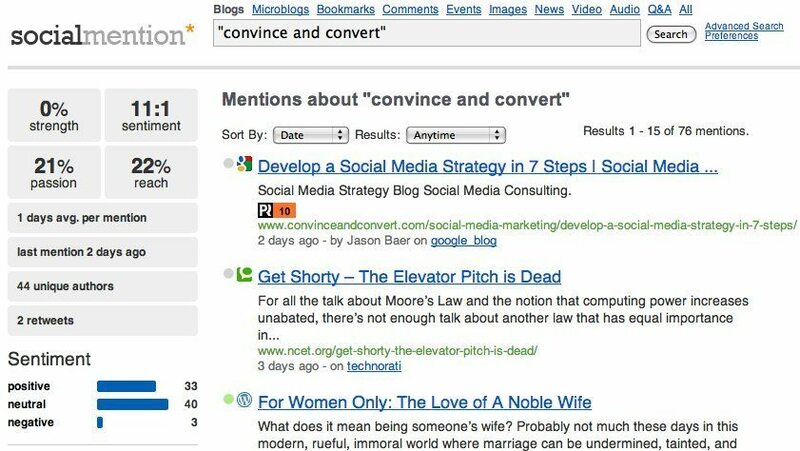 Search for your competitors the same way you searched for your own name. Convince and Convert Share of Voice Worksheet. 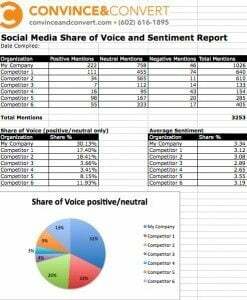 The Share of Voice Worksheet automatically calculates average sentiment of all mentions, on a five point scale, where 1 is a negative mention, 3 is a neutral mention, and 5 is a positive mention. Presto! Now you know who’s dominating the social media conversation within your category. Recognize that this is a very rough report. You will almost definitely get some search results from Social Mention that do not actually apply to you or your competitors. You can sort those in Excel by exporting the report, but please remember that this is a very basic version of share of voice for quick comparison purposes only.